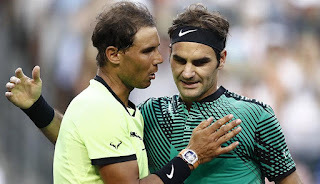 Rafael Nadal withstood the challenge of Karen Khachanov to set up a blockbuster semi-final with Roger Federer at the ATP Indian Wells Masters Friday despite a flare-up of right knee trouble that required mid-match treatment. 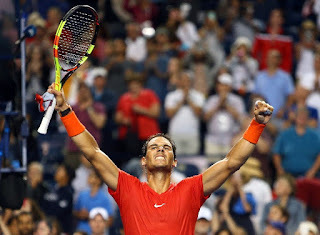 Nadal dominated both tiebreakers to beat the towering Russian 7-6 (7/2), 7-6 (7/2). He booked a 39th career meeting with Federer who breezed past Hubert Hurkacz of Poland 6-4, 6-4. Q. Fatigue from the last match? Heavy legs or anything? KAREN KHACHANOV: No, okay, of course it's not easy when you play first-round matches four and five sets. So I spend much more time on court than Novak. But honestly, he was too good today. Too good. I mean, he had answer on everything what I did. Okay, of course I could maybe do some things better, like serve, for example, but I don't know. He was returning everything. I felt like the ball always coming back. 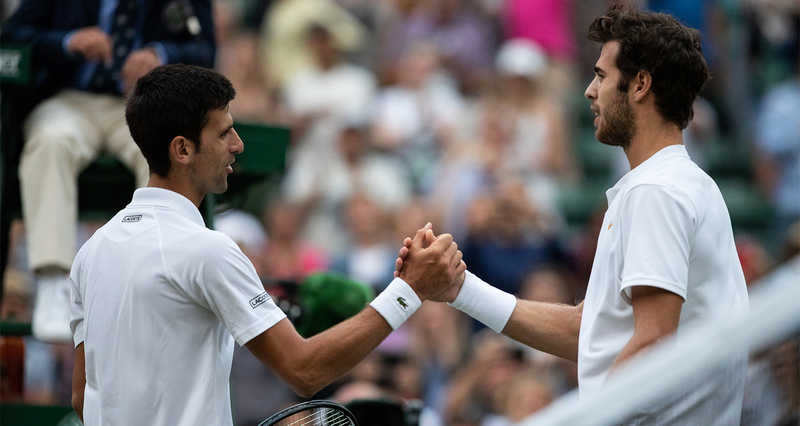 Karen Khachanov discusses why he had to play fast and aggressively in order to defeat Kei Nishikori at the Gerry Weber Open on Wednesday. 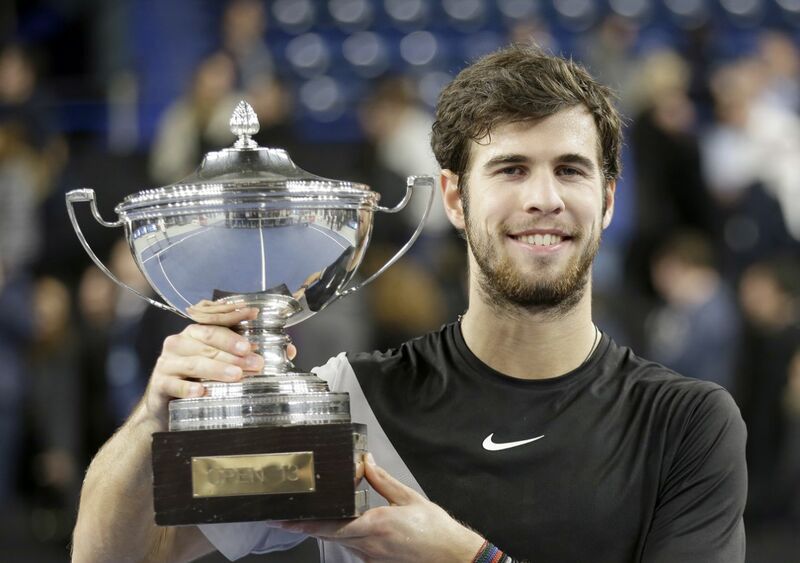 Karen Khachanov talks about the advice he has had from his idol, Marat Safin, in this edition of My Story. Watch highlights as Karen Khachanov upsets home favourite Lucas Pouille to win his second ATP World Tour title in Marseille. Karen Khachanov beat Lucas Pouille 7-5, 3-6, 7-5 in the Open 13 final. 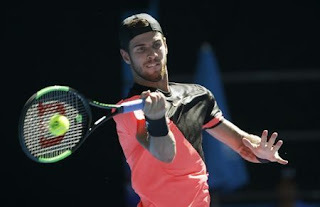 Khachanov had 16 aces in a closely fought contest, winning on his second match point when the third-seeded Frenchman hit a forehand into the net from the back of the court. The pair hugged at the net in a show of sportsmanship. "I hope there are many more finals between us in the future," Khachanov said to Pouille. "I felt I was playing good here from the first day. It's nice to play on a full court in the final, and I hope to come back next year." Karen Khachanov upset Tomas Berdych 6-3 6-2 to reach the Marseille Open final. He will next play Lucas Pouille, who reached his second final of the season after a 6-3 7-6 defeat of Ilya Ivashka. Khachanov was impeccable on serve, saving the meager three break points Berdych had throughout the duel. The 21-year-old has now beaten Berdych in both their meetings having also prevailed at last year's French Open. Watch Hot Shot as Philipp Kohlschreiber shows off his great court coverage skills and anticipation in his first-round match against Karen Khachanov in Rotterdam on Tuesday. Highlights form Karen Khachanov and Peter Polansky's match day two of the Australian Open 2018. 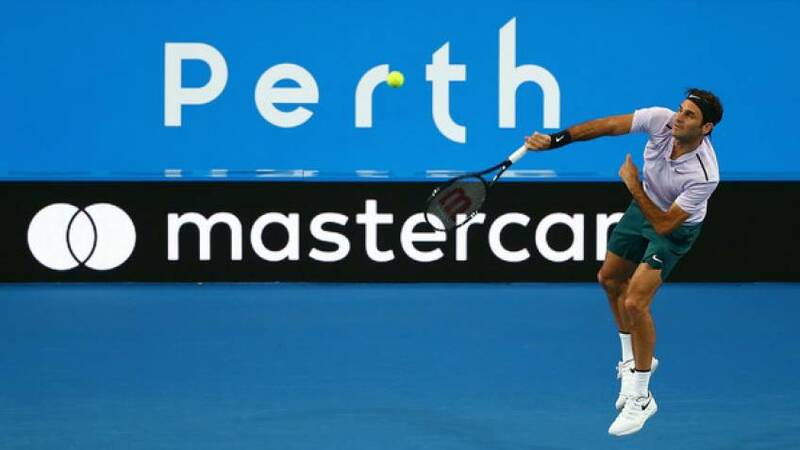 Roger Federer continued preparation for his Australian Open title defense with a 6-3, 7-6 (8) win over Karen Khachanov at the Hopman Cup, helping give Switzerland a 2-0 win over Russia. Federer's playing partner Belinda Bencic beat Anastasia Pavlyuchenkova 6-1, 3-6, 6-3 in a later women's singles match Tuesday to give Switzerland its second consecutive win in Group B.
Federer had his service broken by the 21-year-old Khachanov in the opening game, but rebounded to break back immediately and won the opening set in 29 minutes. Watch highlights as Borna Coric fights back against Karen Khachanov to book a semi-final berth at the Next Gen ATP Finals in Milan. Watch highlights as second-seeded Karen Khachanov bounces back from an opening loss to defeat Jared Donaldson at the Next Gen ATP Finals in Milan. 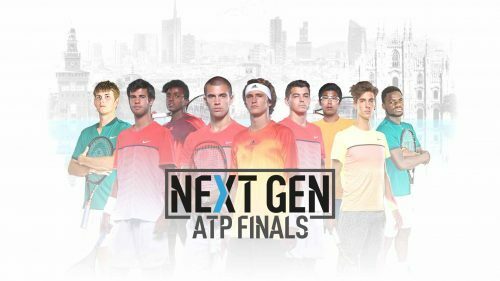 Karen Khachanov and Andrey Rublev arrive together for the Next Gen ATP Finals and have their first hit. Watch highlights of seventh seed Daniil Medvedev of Russia knocking out countryman Karen Khachanov at the Next Gen ATP Finals.